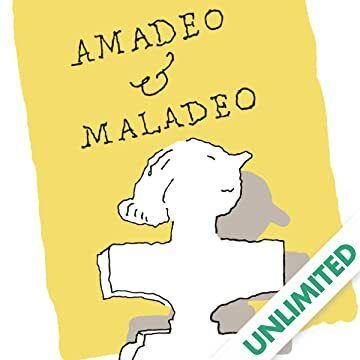 Drawn in Blechman's expressive, patented "wavy line" pen-and-ink style, Amadeo & Maladeo is the tale of two Mozart-esque half brothers. The aristocratic Amadeo begins his musical career playing violin for the King and Queen of Austria, while penurious, illegitimate Maladeo plays violin for pocket change on a street corner. Both face the trials and tribulations of fame as their stories intertwine and come full circle. 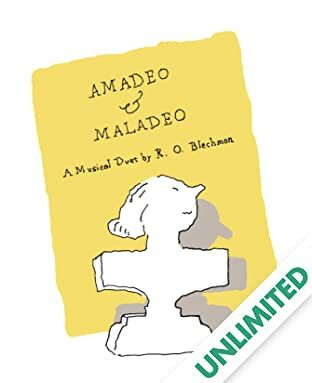 Amadeo and Maladeo serves as an elegant and unvarnished metaphor for the hardships contemporary artists face, which appears to be a universal condition of civilization.